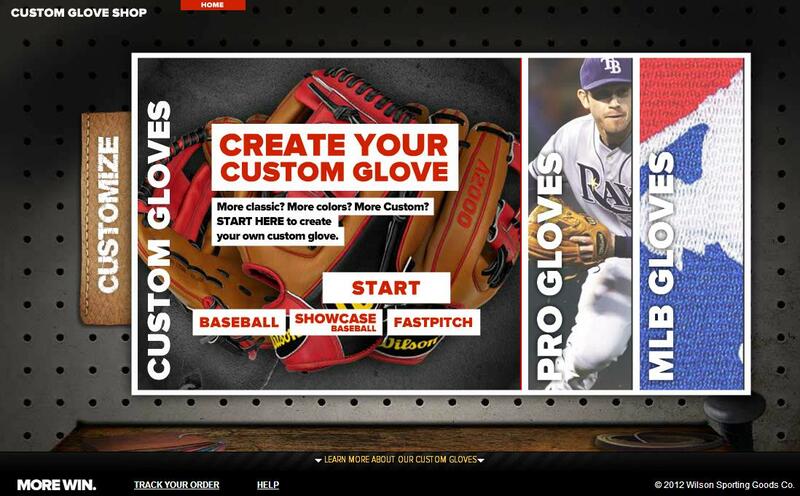 Design your dream glove. 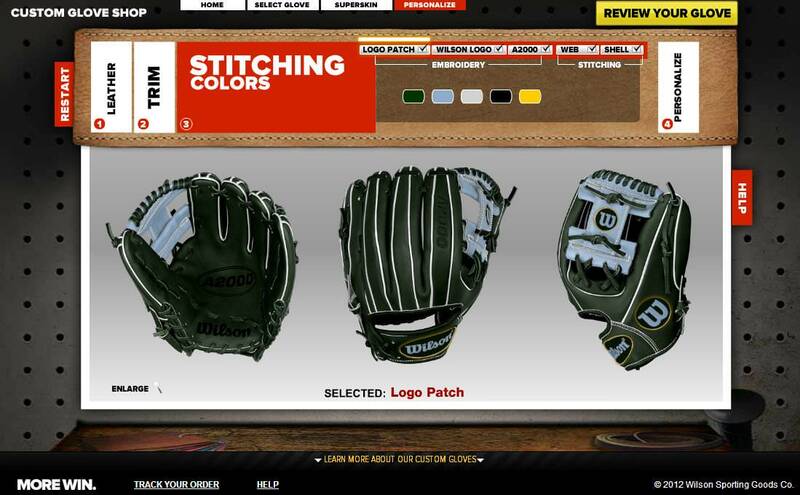 Pick the best pattern, position, leather, colors, laces, logos, names, numbers you can think of. Make it the prettiest thing you’ve ever laid eyes on. Take your time. Clear your schedule. Ask your teammates. Instagram it. Talk to your family about it at dinner time. Make a Powerpoint. Pray about it. This step is not to be taken lightly. 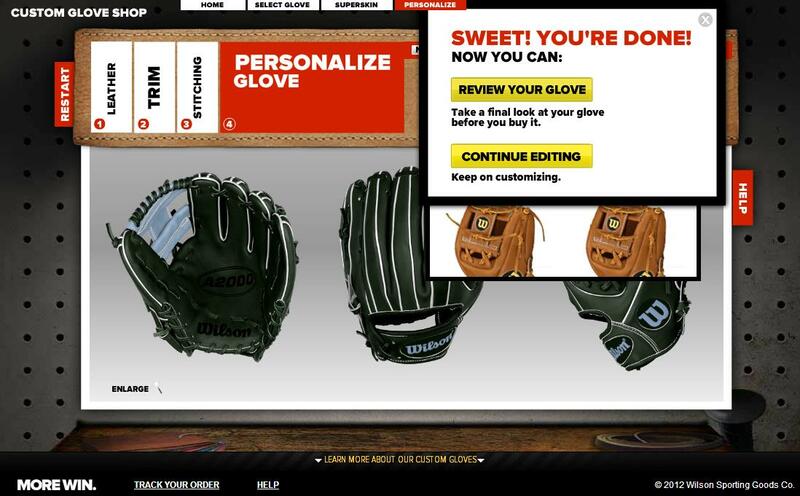 Once its completed, click “REVIEW YOUR GLOVE” on the top right of the screen. Note: DO NOT CLICK THE SHARE BUTTONS IN THE TOP RIGHT OF THE SCREEN, CLICK “REVIEW YOUR GLOVE.” Otherwise you will not be entered. This begins the judgment phase. Before you tweet your design, be sure to tag @WhatProsWear and @wilsonballglove to be entered. WPW will pick our FOUR favorite designs. Those FOUR will be taken to a March Madness style vote, with the semi-finals on Friday, April 4th, starting when I post the matchups and ending at 5 pm Pacific time. On Saturday April 5th, the remaining two entries will battle it out in a vote to see who will have his or her dream glove made. That vote will begin when I post the matchup and end at 5 pm Pacific time. 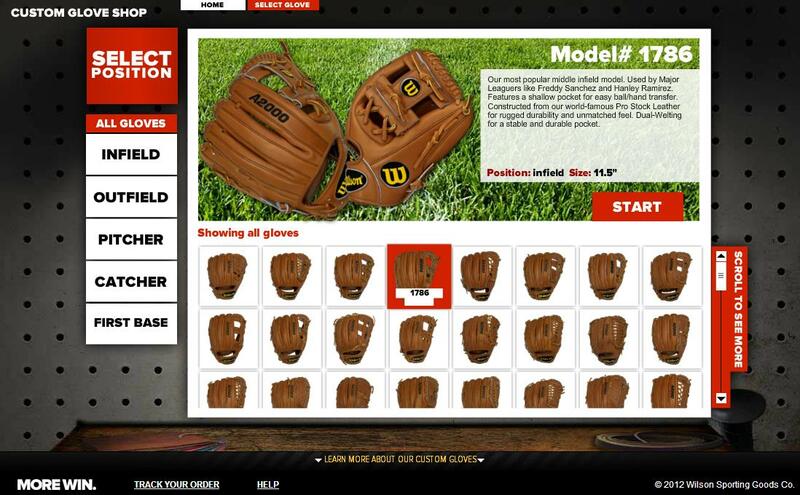 ONE WINNER WILL BE CHOSEN TO HAVE THEIR OWN CUSTOM GLOVE MADE. Make a great-looking glove. Its a beauty pageant. Get your friends involved (obviously) in the voting. Share it with them. Don’t cheat. Don’t pester me. Entries are limited to one per person/Twitter account. I’m a human with a brain, reviewing every entry, so if you just make up a ton of Twitter accounts I’m going to figure it out and you’ll just be disqualified with no reinstatement. One winner will be chosen on Saturday, April 5. 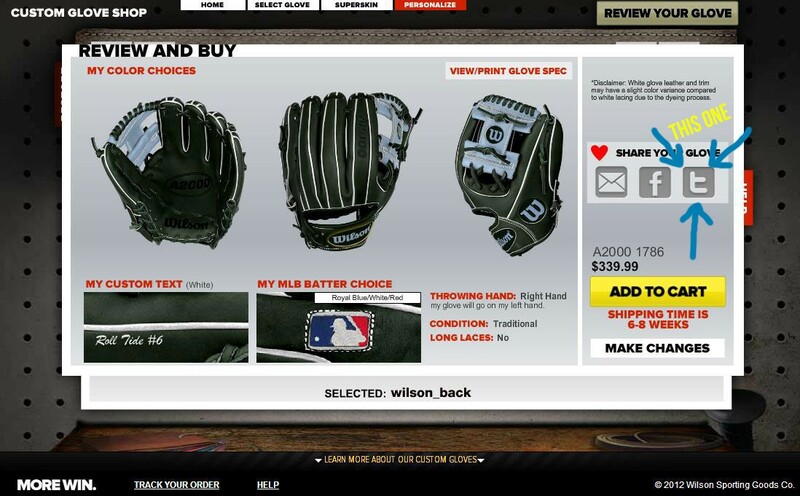 If you haven’t already, jump on WilsonCustomGloves.com and get started. I THINK THIS IS A VERY GOOD IDEA. I ENTERED AND I REALLY REALLY NEED A NEW GLOVE. I clicked review glove and the twitter logo but then nothing happened. Help please! just try again today. I think the Wilson site might have been overloaded. I entered the contest, and have sent you multiple replies asking whether it worked. Have you seen my entry? Thanks! i can’t share mine either please help!!! can you do another one of these?